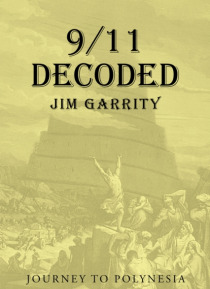 There are more things under heaven than can be explainedWhat caused 911? Was it terrorism or design? Who are the neoconservatives? What really happened to bin Laden? Who makes military grade weaponised anthrax? The twin towers were asbestos ridden white elephants that needed to be demolished. This is a story told by the narrator, an ex-political activist, who travelled to the Polynesian Islands af… ter failing to support his party in an event that would change the world and begin the Project for the New American Century.In the event two high-rise towers plus the 47 storey WTC 7 Salomon Trade building were demolished. These, including the WTC 3 Marriott Hotel, WTC 4, WTC 5, WTC 6 U.S. Custom House building and St. Nicholas Greek Church were all totally destroyed. Also heavily damaged was Fiterman Hall that was rebuilt in 2012 for $325 million. Also the Winter Garden cost $50 million to repair; and the Deutsche Bank was heavily damaged. The Verizon Building (1926) was restored for $1.4 billion that you probably didnt hear about, unless youre from New York. In total 56 buildings were damaged including 19 buildings with major damage or collapse, according to FEMA. The insurance companies, after fighting in the courts contributed to paying out $4.57 billion on all the claims for these buildings.Whether a Boeing 767 aircraft travelling at 450 mph (220 yds/sec) could be programmed or directed in seconds to hit a tower is disputed. A 767 cannot move at this speed at sea level due to multiple vector forces causing aerodynamic instability. Also the effects of parasitic drag, on the turbine fans, that limit the power of its engines to generate optimum thrust. This is due to the viscous effects of high ambient air pressure that exceed the working load of 757 or 767 engines.